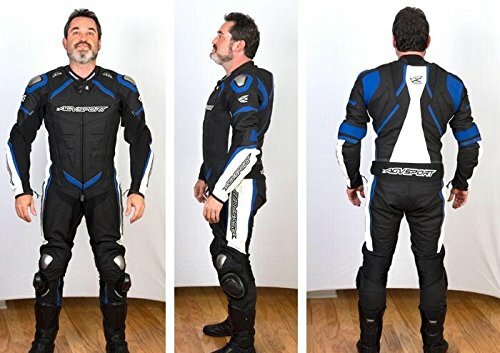 AGV Sport 1-Piece "Podium" Motorcycle Leathers Race Suit. Produced with 1.3mm (body) to 1.4mm (impact area) thick full grain cowhide leather for excellent abrasion resistance. Fully perforated leather on the entire front, thigh, lower back and around calves. 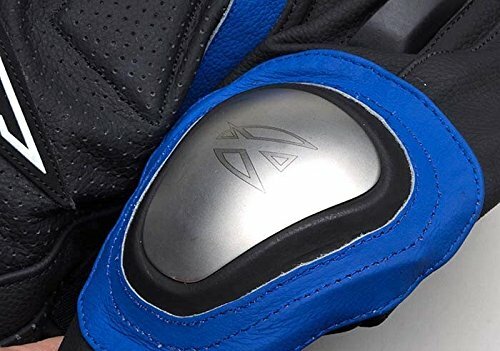 Metal screened air induction vents are also located on each shoulder. Advanced Safety Seam Stitching (ASSC) used throughout. Accordion Leather-Spandex stretch panels are located at the back shoulders, above the knees and elbows as well as across the back waist area for maximum mobility and comfort. Aerodynamic Speed Hump with foam spine pad. CE approved protection (EN 1621-level 1) on shoulders, elbows, shins and knees for maximum safety. Fixed Micro Mesh Antibacterial lining throughout. Moisture wicking neoprene in the rear of the collar and down to race hump for maximum comfort. Perforated Thick Full Grain Cowhide Leather for Excellant Abrasion Resistance. Accordion Leather-Spandex Stretch Panels. Advanced Safety Seam Stitching. CE Approved Protection (EN 1621-level 1) for Maximum Safety. Fixed Micro Mesh Antibacterial lining. 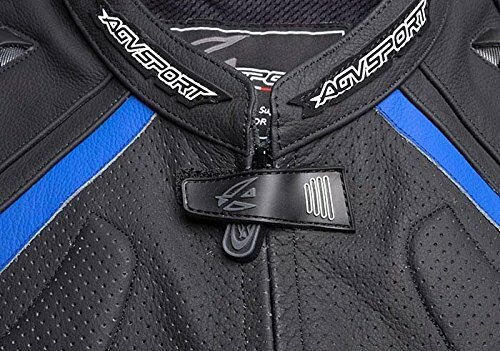 If you have any questions about this product by AGV SPORT MOTORCYCLE LEATHERS, contact us by completing and submitting the form below. If you are looking for a specif part number, please include it with your message.